Helen Viola Johnson, who preferred to be called Viola, was born to Harvey Van Buren Thompson and Mary Arminta (Davis) Thompson on March 6, 1934 in Littleton, Colorado. One of seven children, she had four sisters, Alice, Esther, Elsie, and Jean, and two brothers, Harvey, and Joe. She attended a small grade school near what is now the Target on South Santa Fe. She attended West High School. She was saved at the age of thirteen, having begun attending church as a bus kid. During the sermon one day, she felt the Holy Spirit calling her to come to Christ. At the end of the sermon she answered the invitation to come to the front of the church for counseling. She would later say it was settled before she ever got there. And she never looked back. She married George W. Johnson, Sr. (he wasn’t “Sr.” at the time!) on January 11, 1952. Their first date was with George’s best friend, John Harriger, who needed another girl to fill out a double date! Viola would say they dated only twice before they knew they were meant for each other. She was seventeen and still in high school when they were married. She said that occasionally a classmate who hadn’t heard the news would ask her out. She would respond by saying, “Okay, if my husband doesn’t mind!” They attended First Baptist Church of Englewood for many years. Eventually they joined Littleton Baptist Church, where they took their five children, George, Jr., Jim, Greg, Janie, and Janel, and where Viola was a Sunday School teacher for many years. She had many jobs through the years, such as working in a tax office, making custom drapes, and working as an assembler at Norgrens. But she always maintained that by far her favorite job was being a wife, mother, and homemaker. She loved her family, and loved to hear her children and grand-children sing and play their instruments. She loved gardening, being outdoors, and traveling. She had a good sense of humor, and a sarcastic wit, and could take it as well as dish it out! And she had a wonderful way of making her children-in-law feel like, well, her children. After her husband passed away, she and her younger daughter, Janel, shared the home. Viola would say that she and Janel were real dare-devils and that they would take fascinating vacations. One day, her son-in-law, Mike, with visions of bungee jumping, parasailing, and going to Sturgis running through his mind, asked for an example. She said, “We ordered a trout pizza once!” She passed away at her home of over sixty years on Monday, August 27, 2018. She was preceded in death by her husband, her eldest son, George, Jr., and three sisters. 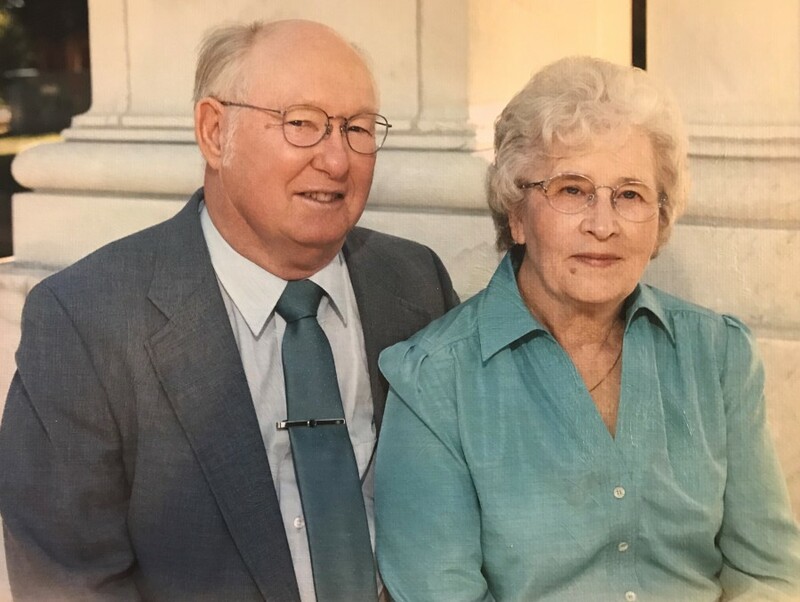 She is survived by her two brothers, one sister, Jean, her children, Jim, Greg, Janie, and Janel, and by nine grandchildren, and twelve great-grand-children, and numerous other family and friends. And so, with a characteristically Christian mixture of sadness and joy, we say goodbye…sadness because we miss her, and joy because she didn’t suffer long, she’s no longer in pain, and because she is now with her dear Savior and has been reunited with her beloved husband and eldest son. Goodbye, Mom, until we meet again. Memorial Services will be held Saturday, 08 SEP 2018; 4 pm at Littleton Baptist Church; 1432 W. Caley Avenue , Littleton.